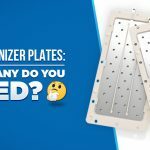 While considering how many plates to choose when buying a water ionizer, you will want to keep in mind that the size (surface area) of each individual plate is just as important as the number of plates that the water ionizer machine contains. A 9-plate unit sounds great, but you MUST consider the size of the plates very carefully. 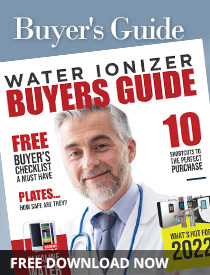 The high-end water ionizers will always use plates that have at least 7 inches in length. Electricity is a funny thing and studies have shown that for every inch of length, the ORP and pH of the water can greatly increase. A good rule of thumb is if you have 9 plates, you need a minimum of 350 watts of power. In addition, we have seen the studies and know that the number of plates as well as plate length is the most important fact when comparing plates, however, some companies advertise that thickness is the most important consideration in order to compensate for plates that are small in length. Our motto…Don’t sacrifice one for the other when you can simply have both! Look for a machine who offers Permelec plates. All Permelec plates offer the thickest and longest plates in the industry. Plus, all Permelec plates are dipped in platinum multiple times to ensure quality. Moreover, look for KFDA and ISO certification in conjunction with Permelec plates. The KFDA monitors plate thickness as it relates to safety, so there are no worries there. However, the KFDA does not monitor plate length, so be wary of companies who take shortcuts in that area.